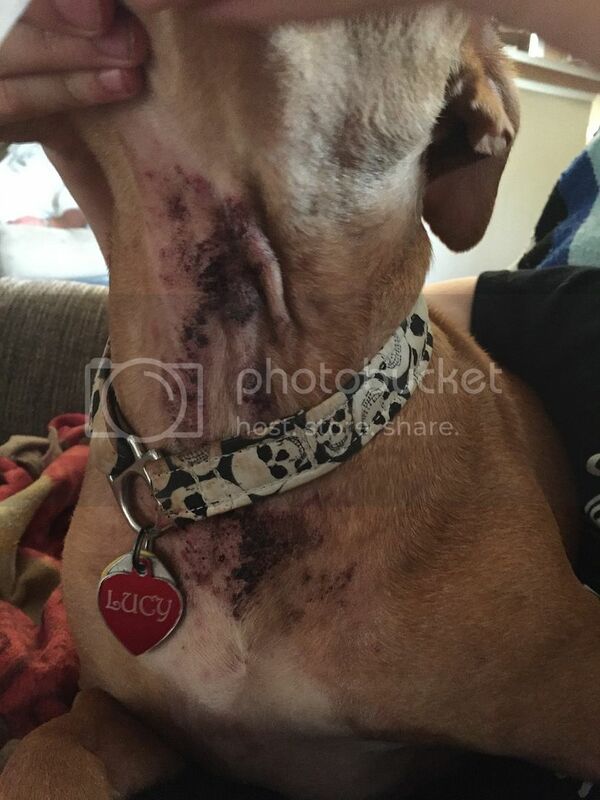 Lucy has major irritated neck. Thought is was from collar. Had collar off for quite some time until bought new collar that is much looser. Neck has gotten much worse. 4 sores have also showed up on her left side. Not sure what to do. Has been scratching also.